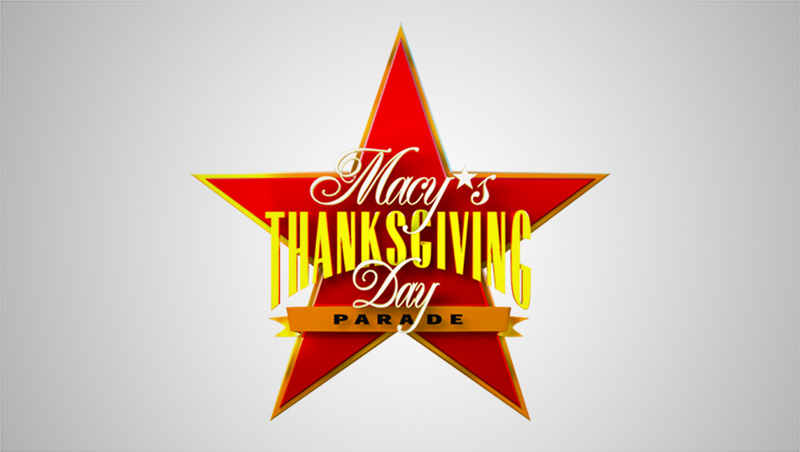 NBC’s logo design for its telecast of the 92nd Annual Macy’s Thanksgiving Day Parade takes the emphasis off the familiar Macy’s star icon in favor of colorful banners. 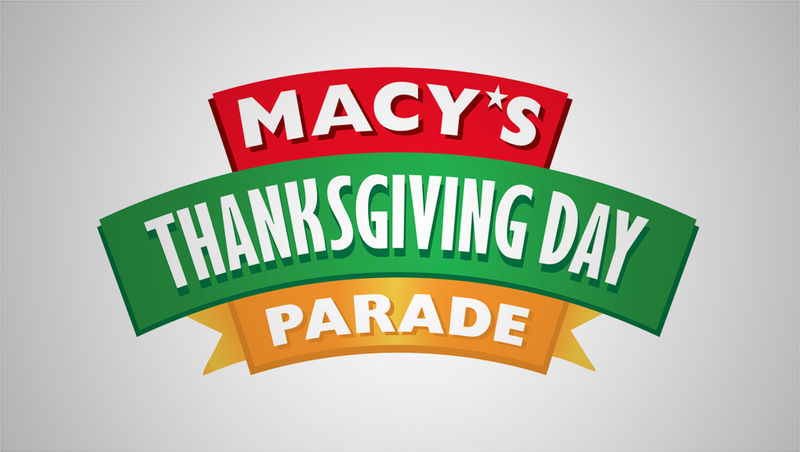 The logo featured the words “Macy’s,” “Thanksgiving Day” and “Parade” broken into three lines in a red, green and gold curved banner, respectively. The red banner containing the Macy’s name ties into the department store’s red star logo design, as is the use of a small star icon in place of the apostrophe. The 2017 NBC parade logo. NBC’s logo design is distinct from the logo Macy’s uses to promote the parade. Over the years, NBC’s parade logo design has bounced back and forth between using a large star icon behind it, with the logotype place in the center or other variations along the lines of 2018’s with more emphasis on the text. This year’s logo also forgoes the use of more intricate typography and script fonts in favor of a clean and playful sans serif. The Macy’s Thanksgiving Day Parade broadcast is produced by the Emmy Award-winning Brad Lachman Productions. Brad Lachman serves as executive producer, Bill Bracken will co-executive produce and Ron de Moraes will direct the telecast. NBC’s three hour coverage of the parade begins at 9 a.m. in each time zone, thanks to tape delay. An encourage presentation will air from 2 to 5 p.m.